New to the Wausau area is a fresh coffee shop, aimed at students in eighth grade through college. Middle Grounds coffee is a coffee shop and youth center for teens, giving them a study and hangout area. Co-owned and operated by Sheila Stark and Bob Schneider, all food and drinks Middle Grounds offers, are completely free. “It is just a place where kids can come in and do their homework. They can work together or alone, and just hang out with their friends and have fun,” said Stark. For the last two years, Middle Grounds have hosted monthly events during the search for a more concrete space. 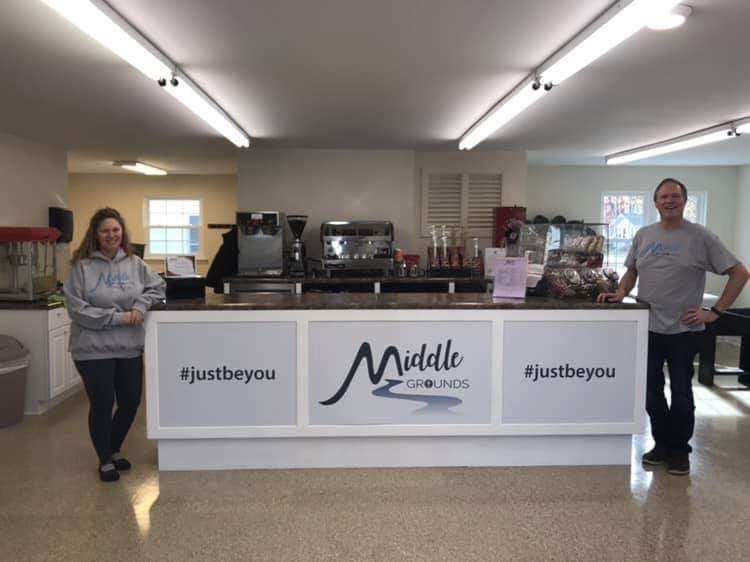 The owners of Middle Grounds are striving to create a fun, safe, and positive environment for teenagers. “It doesn’t matter what anybody looks like or how they dress, we want everyone to just be themselves. Our slogan is “#just be you”. So we want kids to be able to come and build positive relationships with their friends and above all else, have a place where they can come and have a place that they can call their own,” said Schneider. Middle Grounds is open Tuesdays and Thursdays from 3-6 p.m., special hours when school is closed, and one Saturday and one Friday every month. They also host private school events or birthday parties for free as well. They are located at 915 ½ West Thomas Street in Wausau. Call 715-302-1900 for more questions, or find out more on Facebook.